Nexstar Media Group Dec. 3 announced it has entered into a definitive merger agreement with Tribune Media Company to acquire all outstanding shares of Tribune Media in a cash deal valued at $6.4 billion, including the assumption of Tribune Media’s outstanding ($2.3 billion) debt. 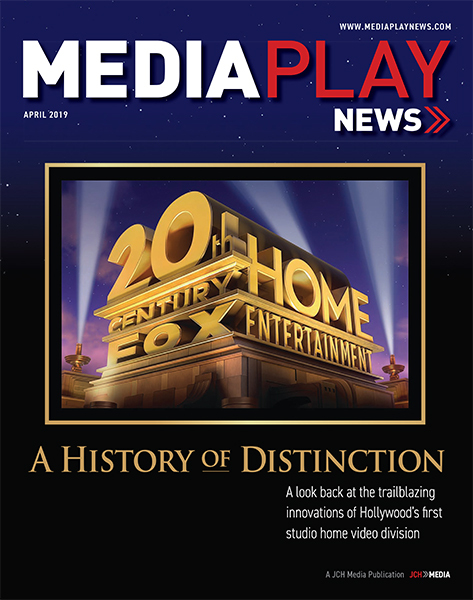 The transaction makes Irving, Texas-based Nexstar the largest local TV station owner in the country, including 216 stations in 118 markets – reaching approximately 39% of U.S. television households. Tribune also owns 31% stake in Food Network. The combined entity will be one of the nation’s leading providers of local news, entertainment, sports, lifestyle and network programming through its broadcast and digital media platforms with annual revenue of approximately $4.6 billion. 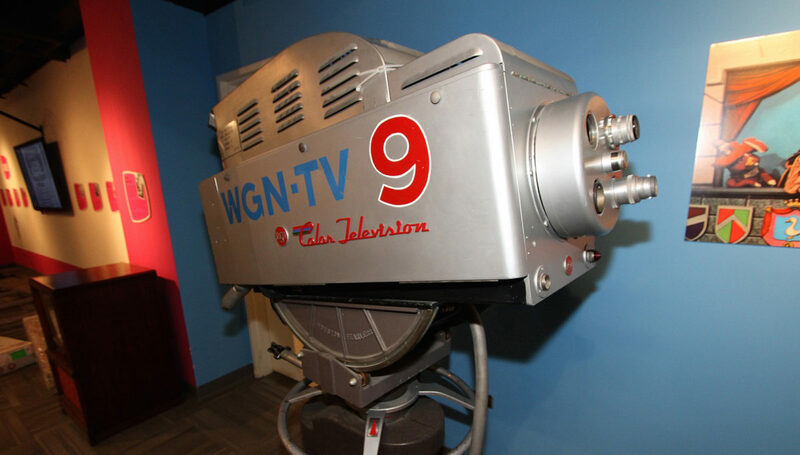 Notable Tribune stations include WGN America in Chicago and KTLA in Los Angeles. WGN became one of the first local broadcasters to ink production deals for original (now cancelled) series, including “Salem” from 20thCentury Fox, “Manhattan” (Lionsgate), and “Underground” (Sony Pictures), among others. The deal is expected to close by the third-quarter next year following regulatory approvals. “Nexstar has long viewed the acquisition of Tribune Media as a strategically, financially and operationally compelling opportunity that brings immediate value to shareholders of both companies,” Perry Sook, CEO of Nexstar, said in a statement. Sook said the transaction offers synergies ($160 million in the first year) related to the enhanced scale of the combined broadcast and digital media operations and increases the company’s audience reach by about 50%. The deal follows the scuttled $3.9 billion merger attempt between Tribune and Sinclair Broadcasting Group, which imploded following allegations the politically conservative Sinclair would have positioned Tribune stations as far-right partisan mouthpieces. The new transaction reflects a 15.5% premium for Tribune Media shareholders and a 45% premium to Tribune’s closing price on July 16, the day FCC Ajit Pai issued a statement regarding his intention to hold a hearing on the Sinclair offer. The Nexstar/Tribune deal faces its own regulatory hurdles under the current FCC and Department of Justice, which together under the direction of the Trump Administration, have taken stronger approaches toward media mergers as seen in the DOJ’s ongoing appeal of the AT&T/Time Warner pact. Indeed, Nexstar said it intends to divest certain TV stations necessary to comply with regulatory ownership limits and may also divest other assets it deems to be non-core. Rupert Murdoch is a sly fox. After his 21stCentury Fox media company lost to Comcast in a weekend auction for outstanding control of Sky Plc., the media tycoon has agreed to sell Fox’s 39% stake (worth about $15 billion) in the British satellite TV distributor to Comcast – at the new elevated share price of £17.28 ($22.60). To do so, Fox had to get Disney’s approval after the latter acquired select Fox assets, including 20thCentury Fox Film and Fox’s stake in Sky, for $71 billion. After Comcast emerged victorious last weekend in a special auction held by British regulators – an event that saw Comcast agree to pay nearly 70% more for Sky than Fox had original offered, fiscal common sense prevailed over ego. In a statement, Fox said it wished its colleagues at Sky well going forward. Murdoch helped launch Sky in 1989 through the merger of Sky Television and British Satellite Broadcasting. For Disney, the transaction, coupled with the divestiture of the Fox Sports Regional Networks, significantly reduces the amount of debt it would incur in acquiring Fox assets. Disney, in a statement, said it would rather focus its “considerable investment” in the branded direct-to-consumer offering launching in late 2019 and the new ESPN+ sports streaming service. It will also seek to increase investment in Hulu’s content offerings and international distribution. Disney and Fox each currently hold 30% stakes in Hulu. 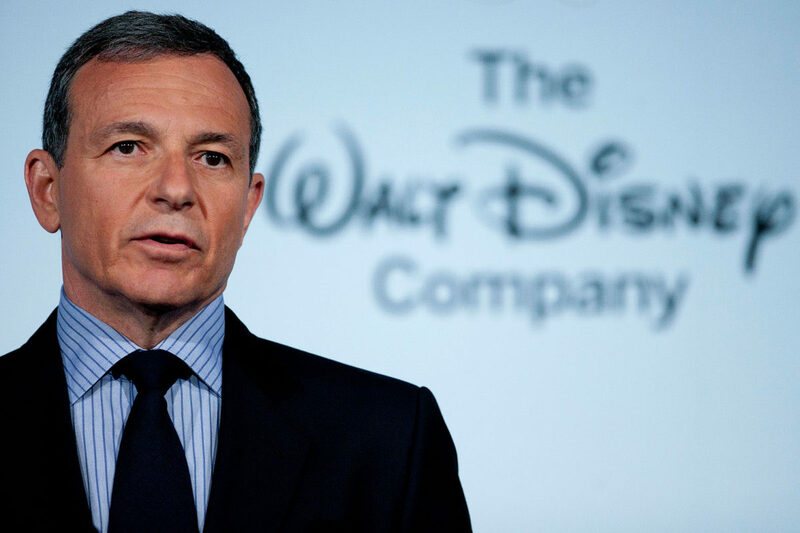 “Along with the net proceeds from the divestiture of the RSNs, the sale of Fox’s Sky holdings will substantially reduce the cost of our overall acquisition and allow us to aggressively invest in building and creating high-quality content for our direct-to-consumer platforms to meet the growing demands of viewers,” said Disney CEO Bob Iger. For Murdoch and Co., selling Sky marks the end of an era. When Murdoch-led Fox launched Sky nearly three decades ago, it nearly went broke operating four channels produced from a prefab structure in an industrial park on the fringes of west London. Comcast Corp. Sept. 25 disclosed it has acquired 30% of British satellite TV operator Sky Plc., shares following a weekend takeover auction win over 21st Century Fox. Fox, which owns 39% of Sky, is selling its stake, in addition to 20thCentury Fox Film, to The Walt Disney Co.
Comcast said it would continue to acquire Sky shares from investors for the £17.28 ($22.60) per share price hammered out in the special auction for controlling interest in the pay-TV operator. The share price values Sky at more than $40 billion. Fox had offered £15.67 per share. 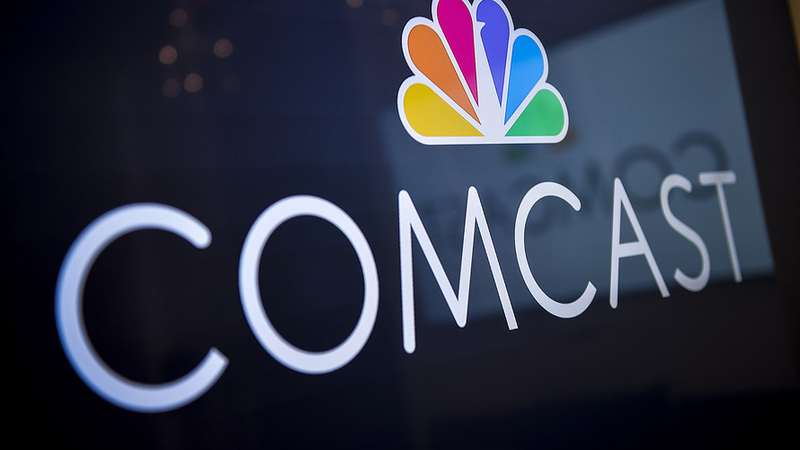 “Comcast Bidco will continue to acquire Sky Shares in the market from eligible shareholders outside the United States at up to and including £17.28 in cash for each Sky Share,” Comcast said in a statement first reported by CNBC, which is owned by Comcast’s NBC Universal subsidiary. Indeed, Comcast needs to acquire 50% of Sky’s stock plus one additional share to complete the takeover. Sky’s board approved Comcast’s offer, calling it “materially superior” to Fox’s bid and called on Sky investors to “immediately” accept it. Notably, when Fox first bid on Sky’s remaining stock in late 2016, its offer totaled £10.75 per share. Meanwhile, Comcast shares continue to decline following the auction, with some analysts contending the media giant overpaid for a waning distribution model (satellite TV). Not so for Liberty Global CEO Michael Fries, who called Comcast’s purchase price a “great outcome” for Sky shareholders. The executive said it values the European pay-TV market, an ecosystem he claims is often overlooked. Fries called on Comcast CEO Brian Roberts to remain “rationale” on the deal and to give it time to playout. “I think the purchase price is terrific,” he told Bloomberg. Mega media mergers aren’t limited to video anymore. Satellite radio operator SiriusXM and subscription streaming music operator Pandora Media Sept. 24 announced a deal under which SiriusXM will acquire Pandora in an all-stock transaction valued at about $3.5 billion. 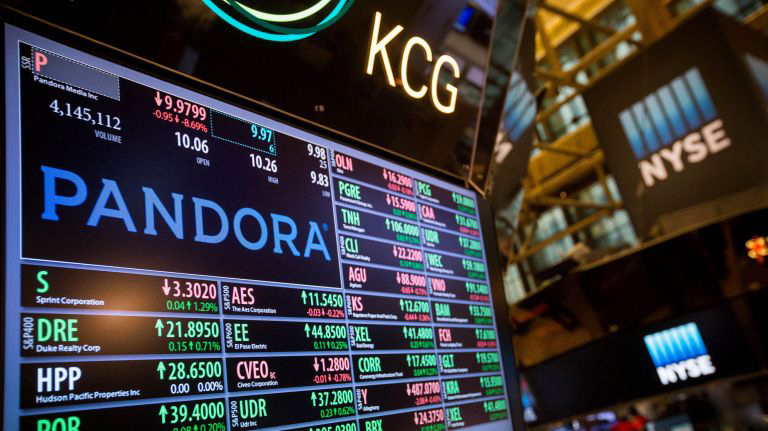 The transaction, which has been approved by both the independent directors of Pandora and by the board of directors of SiriusXM, creates the world’s largest audio entertainment company, with more than $7 billion in expected pro-forma revenue in 2018. The transaction is expected to close in the first quarter of 2019. It is subject to approval by Pandora stockholders, in addition to passing mustard with U.S. and foreign antitrust issues and regulations. Pandora’s more than 70 million monthly users would enable SiriusXM to significantly expand its presence beyond its more than 36 million subscribers across North America vehicles into the home and other mobile areas. Leveraging SiriusXM’s exclusive content and programming with Pandora’s ad-supported and subscription tiers could create unique audio packages, while also utilizing SiriusXM’s extensive automotive relationships to drive Pandora’s in-car distribution. The merger agreement provides for a “go-shop” provision under which Pandora and its board may potentially enter negotiations with parties that offer alternative (i.e. more lucrative) proposals. Pandora said it does not intend to disclose developments about this process unless the board acts on any superior bid. “The addition of Pandora diversifies SiriusXM’s revenue streams with the U.S.’s largest ad-supported audio offering, broadens our technical capabilities and reach out of the car even further,” Meyer said. Comcast Sept. 22 disclosed it has prevailed over 21st Century Fox with an offer price of £17.28 per Sky share to acquire majority control of the U.K. satellite TV operator in an auction mandated by British regulators. This offer implies a value of $40 billion (£30.6 billion) for the fully diluted share capital of Sky. 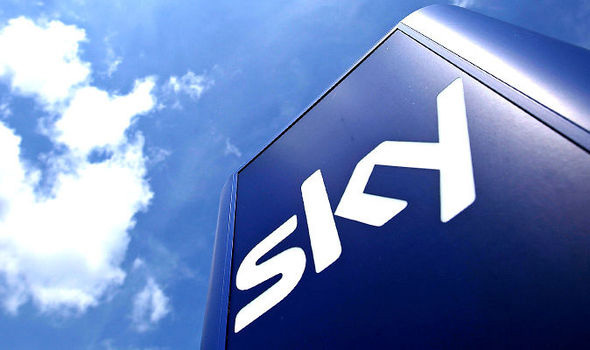 The announcement ends the competitive bidding process for Sky. Fox, which controls 39% of Sky, had sought to acquire outstanding Sky shares it did not own for £14 per share. Comcast had offered £14.75 per share. When Sky investors failed to adopt either offer, an auction was ordered by The Panel on Takeovers and Mergers. Sky shareholders must now ratify the Comcast offer. With an apparent impasse on competing acquisition offers accepted by Sky shareholders from 21stCentury Fox, Comcast and The Walt Disney Co., a U.K. regulatory agency is set to take the unusual step of authorizing a one-day auction between the competing suitors. The Panel on Takeovers and Mergers Sept. 20 issued a statement declaring that after discussions with all parties involved, an auction for controlling interest in Sky would begin at 5 p.m. on Sept. 21 and end sometime on Sept. 22 after three rounds of bidding. The bids will not be made public during the auction but will reportedly be made available by Sept. 24. “On the basis that neither offeror has declared its offer final, such that either offer may be increased or otherwise revised, a competitive situation continues to exist for the purposes of ‘Rule 32.5 of the Takeover Code’”, wrote the panel. The Panel said that by 7.00 am (London time) on Sept. 24, each of the Sky suitors is required to make an announcement under “Rule 2.7 of the Code” of a revised offer in respect of its latest bid lodged in accordance with the auction procedure (or alternatively, if it did not lodge an increased bid during the auction procedure, a confirmation of its pre-existing offer). To accommodate the auction, both Comcast, Fox (and Disney, which is acquiring 20thCentury Fox and Fox’s 39% stake in Sky for $71 billion) extended the merger deadline until Oct. 6. With 23 million subscribers across the U.K., Italy and Germany, Sky is a lucrative pay-TV operator and asset to Comcast and Disney looking to expand their respective brands globally (Comcast) and thwart Netflix’s ongoing global reach (Disney). The company generated more than $12.9 billion in revenue in 2017. Sky investors have long eyed a bidding war for the company, which is why the stock is trading significantly higher (£15.78) than Comcast’s $34 billion (£14.75 per share) offer compared to Fox’s £14 per share bid. Indeed, neither offer has resonated with Sky shareholders, with less 30% of stakeholders tendering Comcast’s offer compared to 0.07% for Fox’s offer. On Dec. 15, 2016, Fox announced a cash offer for the shares in Sky it did not already own at £10.75 per Sky share. On Feb. 27, 2018, Comcast announced that it was considering making an offer for Sky. On April 25, Comcast announced a cash offer at £12.50 per Sky share. Later that day, the independent directors of Sky announced that they were withdrawing their recommendation of the Fox offer. On July 11, Fox announced an increased cash offer for Sky at £14.00 per Sky share. Later that day, Comcast upped its cash offer for Sky at £14.75 per Sky share. As expected, 21stCentury Fox has extended its offer for remaining shares of U.K. satellite TV distributor Sky to Oct. 6 – the same date Comcast extended its competing offer. Comcast currently holds the higher bid: $34 billion (£14.75 per share) compared to Fox’s £14 per share. Yet neither offer has resonated with Sky shareholders, with less 30% of shareholders tendering Comcast’s offer compared to 0.07% for Fox’s offer. Fox, which is controlled by Rupert Murdoch, currently owns 39% of Sky. 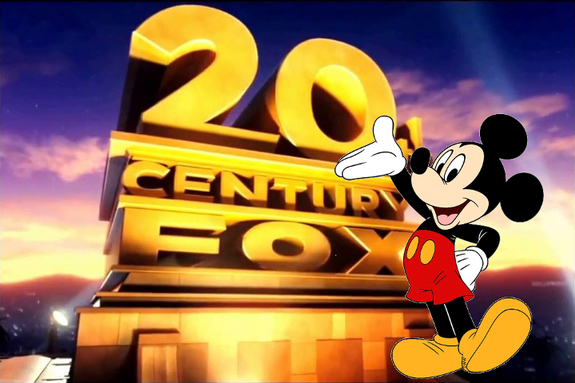 The Walt Disney Co. outbid Comcast for select Fox assets, which include 20thCentury Fox Film and Sky. With Sky’ stock closing down Sept. 17 at £15.78 per share in London, it’s clear investors are hoping for a superior bid from either Comcast, Fox or even Disney. Following the deadline, corporate takeover rules in the United Kingdom mandate a five-day sealed auction overseen by regulators with Comcast, Fox and Sky agreeing on the terms. 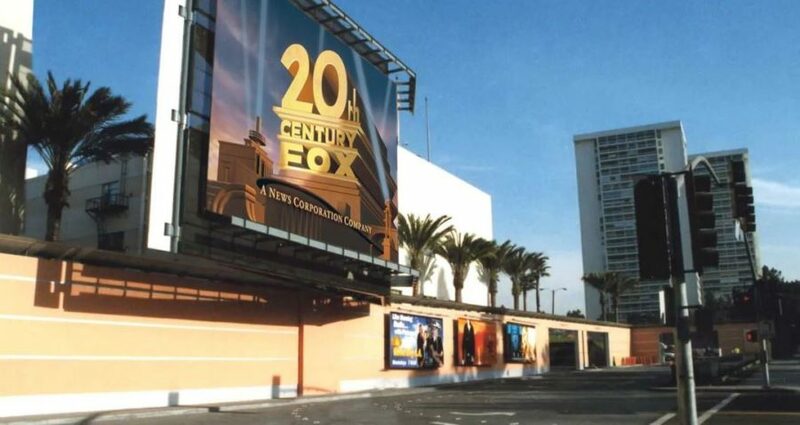 As expected, Comcast Corp. July 19 officially dropped out of its attempt to acquire select assets of 21st Century Fox, including 20th Century Film and majority ownership of Hulu. The media giant was considering upping its $65 billion offer for Fox, which included a 39% stake in British satellite TV distributor Sky. “Comcast does not intend to pursue further acquisition of the Twenty-First Century Fox assets and, instead, will focus on our recommended offer for Sky,” the company said in a statement. Comcast currently has a $34 billion (£14.75 per share) offer on the table for Sky, which exceeds Fox’s revised offer of £14 per share. The decision should clear a path for Disney’s $71.3 billion bid, which has been approved by Rupert Murdoch, majority shareholder of 21st Century Fox. “I’d like to congratulate [Disney CEO] Bob Iger and the team at Disney and commend the Murdoch family and Fox for creating such a desirable and respected company,” said Comcast chairman/CEO Brian Roberts.